Deciding where to have your wedding is based on more than a few things – like religious affiliation, the guest list and the time of year, just to name a few. While it’s been a tradition for couples to get married in a place of the bride’s family’s choosing, nowadays weddings can be held almost anywhere a couple desires. Here are some special sites for the bride and groom’s consideration. Please use the talkbacks to let us know if we are missing one. This elegant and historic venue is well-versed in hosting formal events. Their attentive staff can help you tailor your special day to their distinctive indoor hall and can accommodate up to 400 people. A reception space is also available, which is open to any professional, licensed and insured caterer of your choice. Get the best of both worlds with a small wedding at Alpine Valley. The ceremony site holds up to 150 people, but its outdoor space offers unlimited seating for your reception. Let them do the work with their in-house caterer, and enjoy discounts on the resort’s on-site lodging. Alverno College’s spacious conference center can hold up to 300 in their indoor chapel. They also take care of dining with an in-house caterer. 1928 Historic Art Deco Boutique Hotel – 72 ppl max 133 guestrooms. Select service Inn with banquet space totaling 3,615 square feet of banquet space – 120 ppl max (use own caterers) – 40 guestrooms. Hold a ceremony of up to 300 outdoors at The American Club, or say your “I do”s indoors with up to 500 of your friends and family. They even take care of catering. The Astor Hotel’s venue seats up to 300 indoors and also offers a reception space. They also cover catering in-house. Both indoor and outdoor options are available for your walk down the aisle at Bacchus. The indoor space seats up to 180, and catering is also handled in-house here. Indoor and outdoor seating available for up to 300 guests. Take care of your big dream wedding with ease at Blue Harbor Resort. Indoor ceremony seating is available for up to 700, and all catering is taken care of in-house. Enjoy either an indoor or outdoor setting at Broadlands’ wedding venue. Indoor seating is available for up to 250 guests, and an in-house caterer takes care of your first meal as a married couple. The venue offers several ceremony and reception sites and a full catering menu; accommodating up to 350 guests. Indoor seating accommodates up to 275 guests. Hold your ceremony at Bush Gardens indoors or outside on the venue grounds. They can accommodate up to 160 guests and feature in-house catering. Keep your ceremony and reception at one convenient locations. Cedar Beach Inn offers indoor and outdoor space for your ceremony and can host receptions in either spot (indoor seating is available for up to 300). In-house caterers take care of your dining options, too. Say your vows outdoors at this Milwaukee landmark, or bring the wedding inside: the museum’s indoor site fits 100-200 people. They also provide a list of in-house and preferred caterers to help you finalize your dining. Accommodates up to 370 guests. The Country Springs Hotel can host weddings of anywhere from 50 to 500 people both indoors and out. Reception space is also available, and catering is done in-house. This Third Ward champagne lounge can hold up to 250 people and host your reception. A list of preferred caterers is available. Davian’s is a one-stop shop for your wedding ceremony, reception and catering – they take care of it all. Host up to 200 in their indoor ceremony site, and invite as many guests as you like for an unlimited outdoor reception. Walk down the aisle amongst anywhere from 70 to 300 at the Delafield Hotel. Outdoor reception space and in-house catering is also available here. The Five Pillars can accommodate both indoor and outdoor weddings, and even offers reception space and in-house catering to help take some of the stress out of your special day. At this North Shore hotel, you’ll have your choice of two newly renovated spaces. The Crystal/Skylight Room seats 130 for a more intimate reception, while the Grand Ballroom can accommodate up to 350 of your closest friends and family. A modern venue, the Grace Center overlooks the historic Grace Lutheran Church and can accommodate up to 250 guests. The Grain Exchange is grandiose with historic décor and can accommodate indoor seating for 350 guests. Situated just off Water Street on the East Side, The Hamilton’s chic industrial-vintage event space accommodates 200 people. Parking for guests is part of the package. Harley Davidson has indoor and outdoor seating for 20-1,000 guests, with a tent available. The Heritage Mall can hold up to 350 indoors and can also host your wedding outdoors. They also take care of catering. Hold your wedding at the Hilton with up to 400 guests. The hotel offers both indoor and outdoor ceremony options and provides a caterer in-house. The Garden Inn’s Grand Ballroom can accommodate up to 350 for your wedding. In-house catering is provided, too. 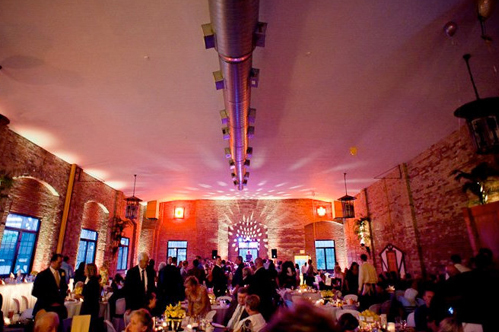 The Wherehouse can hold up to 292 (230 seats) for your Wednesday, Thursday, Friday or Sunday night wedding festivities. Hot Water, the space’s second venue, can host events the first and third Wednesday of every month, Friday, Saturdays and the second and fourth Sunday of every month. All room rentals include a private facility during your rental event time, plus one hour for set-up and one hour for clean-up. Rental fee also includes an on-site event manager, bartenders, security staff, access to the 100-car parking lot and cleaning services. Bring your own caterer or ask for recommendations. Celebrate with 100-130 of your friends and family at Hotel Metro. This classy downtown spot offers indoor ceremonies, on-site reception and in-house catering. We are a full service restaurant and banquet facility located on 500′ of frontage on picturesque Cedar Creek in the Town of Cedarburg. Enjoy a comfortable indoor wedding with a view along the river at Hubbard Park Lodge. Their ceremony space holds 175-225, and reception space and in-house catering are also available. Book your wedding for Sunday and receive special discounted rates. 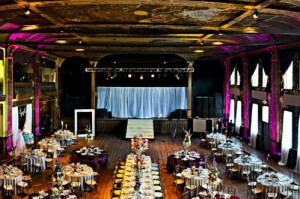 The historic Masonic Center offers indoor seating for up to 400 people, as well as in-house catering. The Hyatt Regency can accommodate 50-600 guests for indoor seating. Newly renovated, the InterContinental’s ceremony site options include the Grand Salon. The hotel is well-suited for your big dream wedding of 350-600 (or more). In-house catering is provided, and hotel room rate discounts are also available. This award-winning boutique hotel features multiple indoor and outdoor spaces for both your ceremony and reception. Indoor and outdoor seating can accommodate up to 200 people, and catering is taken care of in-house. Seat up to 600 in the ICC’s indoor ceremony space, and receptions come complete with their delicious in-house catering. Accommodates up to 350 guests for indoor seating. Book both your ceremony and reception at the Lakefront Palm Garden. The venue can hold up to 300 and also provides an in-house caterer. Lake Park Bistro is able to welcome weddings of 200 indoors or 225 in the tent. Catering is handled in-house and discounts are also offered for couples booking their reception and rehearsal dinner at Pier Wisconsin or Grain Exchange. Host up to 500 guests in the Marcus Center ballroom or move your ceremony outdoors. Book for fall or winter to save on your specials day, and let Sazama’s Fine Catering handle the menu. 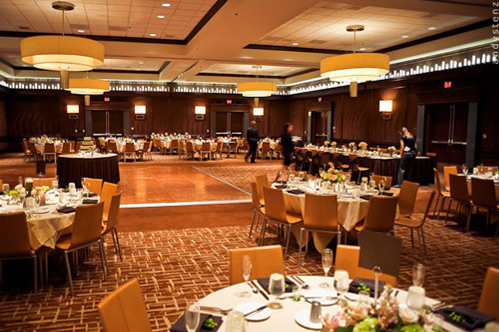 Overlooking the shores of Lake Michigan, this venue can accommodate up to 350 guests. Make your wedding one to remember with the breathtaking setting of the Milwaukee Art Museum. Indoor seating is available for groups of 350-500; outdoor ceremonies and reception space are also available. Catering is handled in-house. Newly renovated, this event space can accommodate 350 guests. Need space for 1,000 of your closest friends and family to share your special day? Why not let Milwaukee County Parks host your celebration? Secure a permit for one of various locations throughout Milwaukee. Park hotspot Boerner Botanical Gardens offers numerous outdoor seating options and can host an intimate indoor gathering for 30-50. Bigger crowds can book the O’Donnell Park North Garden Plaza (outdoor seating for 1,500) or the O’Donnell Park South Garden Plaza (outdoor seating for 2,000). Help your future in-laws feel at home with a wedding at the zoo. Indoor and outdoor locales are available, and indoor seating is available for groups of anywhere from 320 to 540. Reception space and in-house catering is available, and discounted rates are offered for Friday and Sunday bookings. From festive appetizer parties, cozy get-togethers to elegant dinners, the market can deliver exactly what you need to make your special occasion perfect. The vendors at the Milwaukee Public Market provide an enticing array of cuisine allowing them to cater to your every need. The museum allows for a variety of capacities for special events but can hold up to 3,500 guests. Get hitched under glass at the Domes. Indoor seating is available for groups of 50-250; outdoor ceremony options and reception space are also available. In-house catering is provided. The Muskego Lakes Country Club is ready and able to host weddings of up to 450 guests for the indoor or outdoor ceremony of your choosing. Catering is handled in-house. Save by booking a Friday or Sunday wedding date. Indoor seating can accommodate up to 250 guests. The resort can accommodate up to 600 guests. Host your wedding at the Ozaukee Country Club. Indoor seating is available for up to 300, and outdoor ceremonies, reception space and in-house catering are also offered. Host a wedding to remember at Milwaukee’s historic Pfister Hotel. They can accommodate indoor and outdoor wedding of anywhere from 30 to 800 people and also offer reception space and a list of in-house and preferred catering. Tie the knot in the nautical atmosphere of Pier Wisconsin. Indoor seating can hold up to 320 people, and outdoor options are available. Catering is taken care of in-house. This elegant venue has indoor seating for up to 200, and outdoor space for ceremonies and receptions. Catering is taken care of in-house. The Polish Center can accommodate up to 300 guests either indoors or out on-site. Exclusive in-house catering is provided by Jack Norman Catering. In-house catering, a pastry chef, an event-planning staff and more make this storied Milwaukee locale (which offers five different-sized venues) a veritable one-stop shop for your wedding day. The Pritzlaff Building has four unique historical warehouse spaces and can accommodate up to 1,000 guests. The Marriott provides indoor and outdoor ceremony and reception space, with indoor seating for up to 450. They also provide the in-house caterer. The Radisson’s venue can accommodate up to 300 guests either indoors or out, and they also handle the catering for you. Tie the knot up north! The Red Circle Inn can host up to 300 at their indoor ceremony site, and takes care of catering in-house. This art studio, located just north of downtown, is a beautiful cream city brick building. The venue accommodates 160 people. This venue has indoor seating for up to 400 guests and boast beautiful fireplaces and a grand, cozy feel. Get married in downtown Waukesha’s elegant Rotunda. The indoor ceremony and reception space can hold a guest list of up to 250, and in-house catering is available. A rustic barn wedding venue in the scenic country that holds up to 200 guests. Hold your wedding inside or out at at the Silver Spring Country Club. Outdoor seating can accommodate 150, and catering is handled in-house. This Racine country club can offer seating for up to 500 guests for the indoor or outdoor wedding of your choice. An in-house caterer is also provided. The South Shore Pavilion provides a great natural backdrop for your ceremony. Hold it outdoors or in with up to 250 guests. You provide the caterer of your choosing. Select Sprecher for your reception and enjoy a sit-down dinner for a guest list of up to 125, or opt for open house-style for up to 250. Outside caterers are also allowed. This up-north resort can host up to 500 of your friends in family for either an indoor or outdoor wedding ceremony. Reception space and in-house catering are also available. Our Studio Theatre/Reception Room is the perfect location for the Bride-to-be. Our beautiful space with a seating capacity of 100 has all the amenities needed for your Bridal Shower, Wedding or Reception. Outdoor and indoor ceremony space is available at Timmer’s Resort. They can host weddings of up to 250 people and also provide catering. This unique Milwaukee venue can host your indoor ceremony and up to 500 guests. In-house catering is also provided. Constructed in 1882, Turner Hall features a variety of customizable options, from bar packages to catering, that make your wedding as unique as the space that’s hosting it. It is the only building in Milwaukee that currently holds the three following honorary architectural and historical designations: a National Landmark, a listing on the National Registry of Historic Places, and a local Historical Landmark. Seats up to 300. Villa Filomena can accommodate 50-350 in their indoor ceremony space. Outdoor receptions are also available here. All outside catering options are welcome. The city’s classic Italian-style villa can provide a picturesque wedding for you and a guest list of up to 120 of your friends and family. In-house and outside catering are allowed. The park system’s EB Shurts Building can seat 120 for your ceremony and also offer an outdoor reception space. Outdoor and semi-covered ceremony sites are available, and you can hire your own caterer, too. Enjoy your options with a wedding at the Washington County Fair Park. Your ceremony and reception can be held indoors or out and can welcome a guest list of anywhere from 50 to 900 people. A preferred list of caterers is also available to help you narrow your search. This classic wedding destination can accommodate groups from 50 to 300 in either their outdoor or indoor ceremony space. A preferred caterer list is also available here. This space allows for both indoor and outdoor seating for up to 400 guests. Recite your vows indoors or out at the Watertown Country Club. The venue provides indoor seating for 20-400 guests, as well as an in-house caterer. The Golden Mast offers indoor seating for 350, outdoor gazebos for a unique lakeside setting, plus space for your reception. In-house catering is provided. Say your “I do”s at the Seven Seas. This venue provides indoor seating for 10-300 and an optional outdoor ceremony space. Reception space is available, and catering is taken care of in-house. The West Bend Country Club gives you the choice of indoor or outdoor set-ups for both your ceremony and reception. Indoor seating is available for up to 240; in-house catering is provided. Windwood can accommodate groups up to 550 indoors, and can also provide outdoor ceremony space. Catering is handled in-house. Hold your wedding at the Wisconsin Club, which offers indoor ceremony and reception accommodations for up to 500. In-house catering is also available.